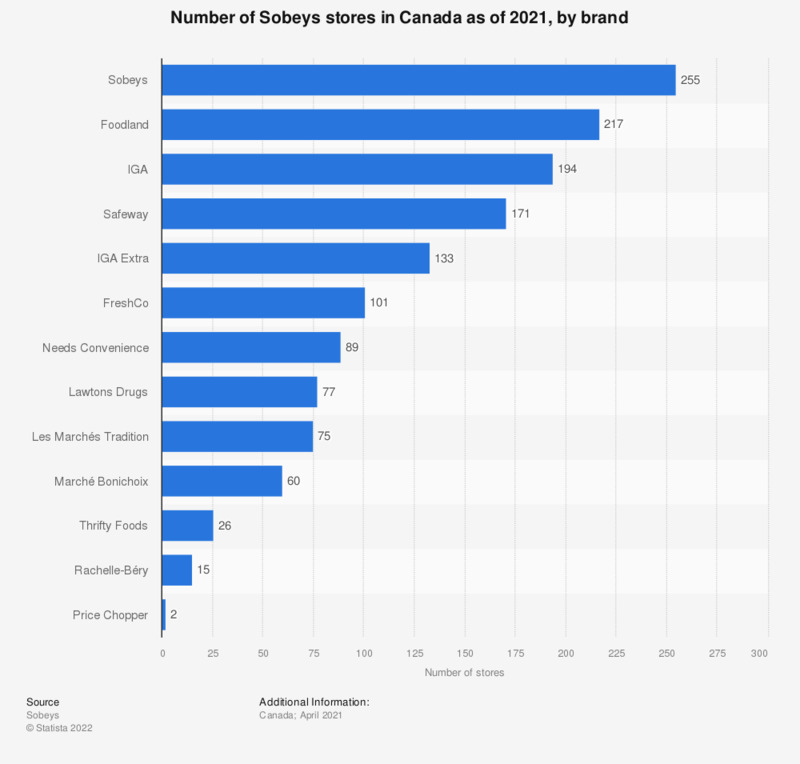 This statistic shows the number of Sobeys stores in Canada as of 2018, broken down by brand. There were 256 self-titled Sobeys retail stores and 219 Foodland stores in Canada as of December 2018. The source does not specify the date of the survey. The date provided is the date of access.